Synth Funk has any and all funk keys and synths that you’d need for your next funkin’ production. 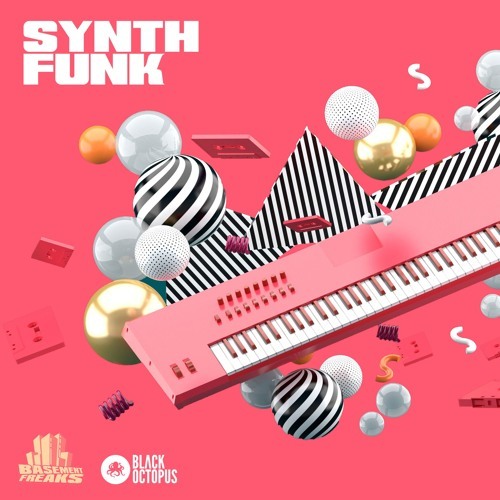 Get it Here : https://blackoctopus-sound.com/product/synth-funk-by-basement-freaks/ Free Download : hypeddit.com/track/wjcrsg (You download for free 40mb of samples from the pack) Influenced by the Nu Jazz, Electro Funk and Synth Pop scenes; you can make any song come to live and dab with disco bringing energy and excitement to the party! Along with all the chunky funky grooving beat loops, there are loads of 80s funky leads fueling your song with some extra special improve feels. With Jazz Chords included, this pack takes you from even another angle, giving you some different ideas or inspiration that isn’t always found in todays packs!